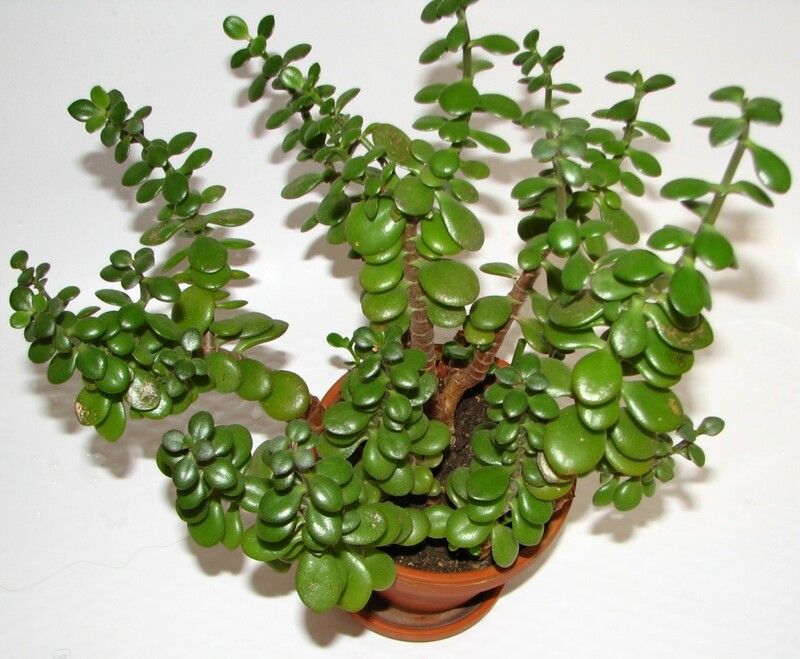 This beautiful succulent is undemanding and has become a favorite house plant over the years. If given good light, it may produce white or pink clusters of star-shaped flowers in the summer time, but its main attraction is its jade-green leaves and beautiful structure. It is very versatile and can be kept small, or grown large as a floor plant where it may reach 4 ft or more.